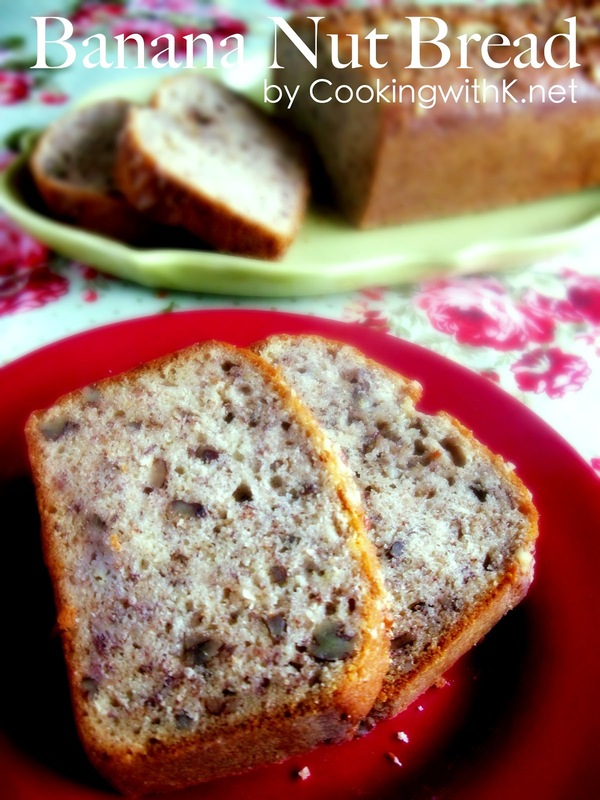 Banana Nut Bread, a classic straight from my Mother's kitchen, toasted pecans folded in a rich banana quick bread that is moist and perfectly sweet. Now that my children are grown and married, I am the only one that eats bananas in the house. I often buy too many bananas, and I can't eat all of them before they start turning brown. Back in my mind when I buy them, I'm always thinking of making a banana quick bread. 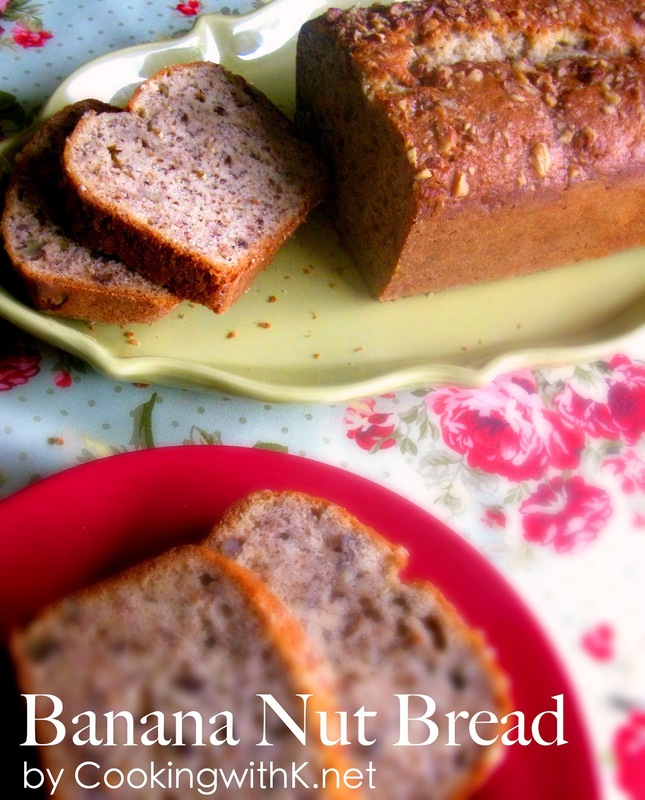 My Mother's recipe for Banana Nut Bread is a classic, made with lots of ripe bananas and toasted nuts. 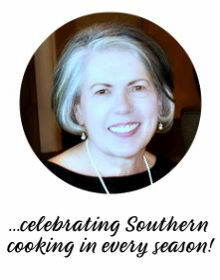 I like to toast the nuts, usually pecans before I add them to the batter. 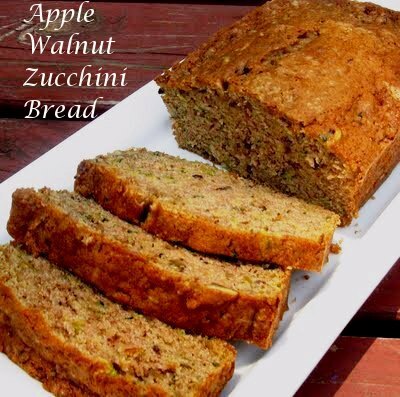 It gives the quick bread a nutty crunch with the sweetness of the bananas. Some of my children are not a fan of nuts. Instead of leaving them out of the bread, I sprinkle the chopped nuts raw liberally over the top of the batter just before baking. They toast while the bread is baking. The flavor is incredible. 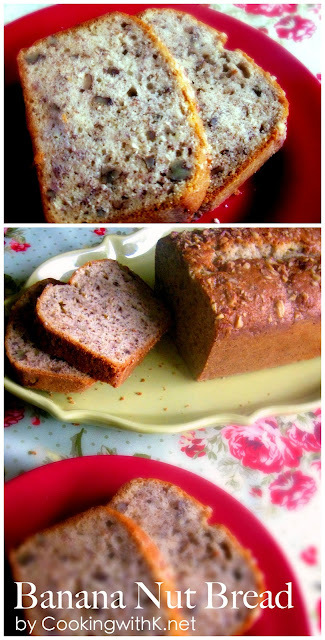 My favorite part of the Banana Nut Bread is when you pull it out of the oven, and there is this wonderful golden brown crust. As the bread cools and I store it, the bread softens. When I was little, I remember racing to the kitchen when Mother was baking this bread to be the first one to get the end piece. They are my favorite pieces to eat. Mother stepped back in the kitchen many a time with both ends missing on a loaf of bread. Oops! This bread is moist and perfectly sweet. 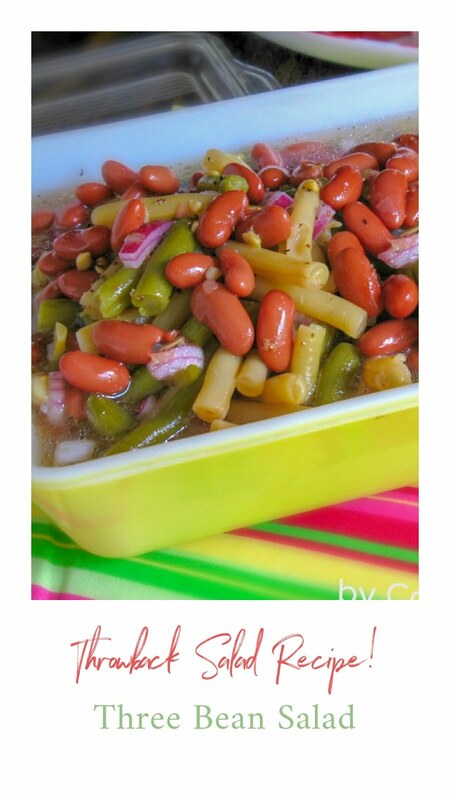 I hope you get to make some soon. Enjoy! Preheat the oven to 350 degrees F. Generously greased one 10 cup bundt pan or two 9"x5" loaf pans (I use this pan) with butter or shortening. In the bowl of an electric mixer using the paddle attachment, cream butter and sugar until light and fluffy. In a bowl, whisk together flour, baking soda and salt. With the mixer on low, add the eggs one at a time, beating after each addition. 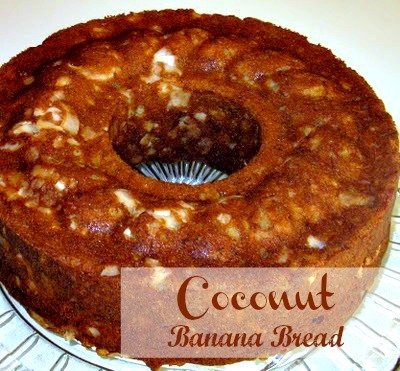 Add the vanilla, buttermilk and bananas. Add the flour mixture and mix until just combined being careful not to over mix. Divide the batter evenly between the two prepared pans. Bake for 1 hour or until a toothpick is inserted and comes out with little crumbs on the sides. Remove from the oven and cool for 15 minutes in the pan. Remove from the pan and finish cooling on a rack. 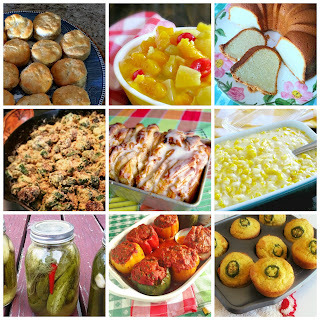 This post maybe link to Weekend Potluck and all these fabulous parties! Looks so delicious and moist. I just told my hubby this week he needed to stop eating ALL the bananas so I could have a few for the freezer. (lol)..I will be trying this yummy bread once I get enough. ;-} Thanks for sharing.